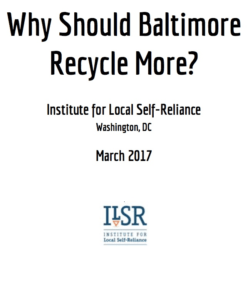 Report: Why Should Baltimore Recycle More? The report was prepared to inform city agencies, City Council and Mayor’s Office about the immediate opportunities for increased recycling and its potential economic impact on the city. The Office of Sustainability, Department of Planning and the Department of Public Works were all generous with their data and insights in helping prepare the report. 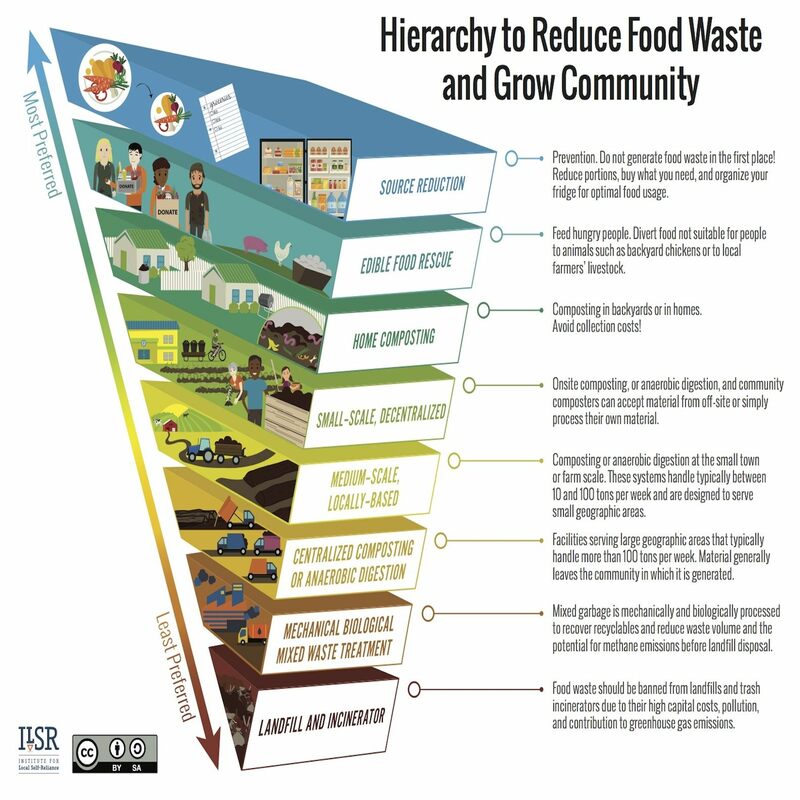 ILSR also relied on input from environmental organizations and recycling and composting businesses. 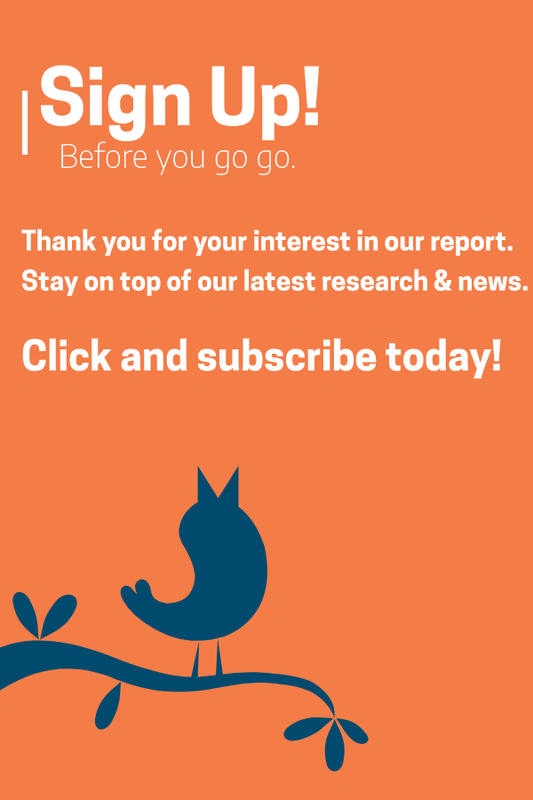 What follows is the introduction of the report, the full report is available for download here. 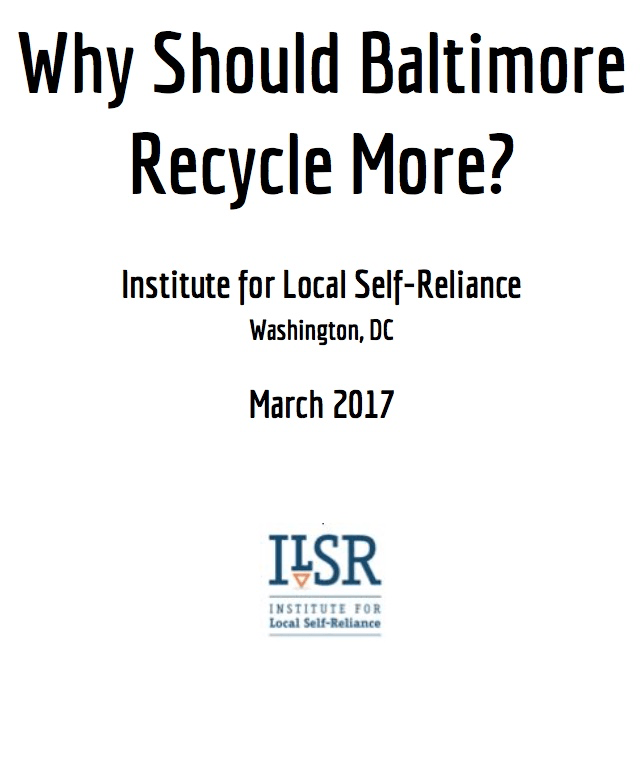 There are two primary reasons why Baltimore should invest in more recycling. Establishing high recycling levels will position the city’s residents and businesses for the future, when the costs of incineration and landfill will be more expensive. The city could save citizens and businesses hundreds of millions of dollars by shrinking its waste stream for the next generation. More immediately, increased recycling means more jobs. Within three years, based on the experiences of other cities, Baltimore could have 500 new direct jobs in this sector of the city’s economy. In general, for every 10,000 tons of materials incinerated, one job is created. For every 10,000 tons of materials processed for recycling and composting, five to 10 jobs are created. Hundreds more jobs are created when processed materials are used in industry and agriculture. Oakland, CA created 1,000 jobs in the recycling sector in the last 10 years. 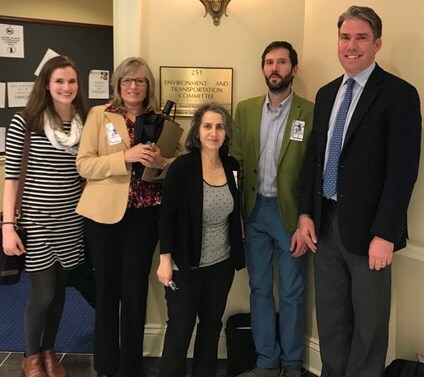 Based on the results of a recent business report on recycling and jobs in South Carolina, if just one percent of Baltimore residents recycled eight more newspapers per month, it would add $304,000 to the local economy. Mayor Pugh’s Transition Report identifies solid waste and recycling management as a top priority, calling for the doubling of the city’s recycling rate within one year as a primary strategy to eliminate the use of the downtown garbage incinerator and landfills. The net cost to the city for incineration at the Wheelabrator Baltimore incinerator is $50 per ton. The net cost to the city for recycling as of March 2017 was $18 per ton. For every ton the city recycles, it saves $32. At current prices, the 25,000 tons per year that the city recycles saves $800,000. Mayor Pugh’s goal is to double the recycling rate within a few years; if that goal is met, the city will save $1.6 million annually at current prices. Baltimore City’s contract with Wheelabrator Baltimore expires at the end of 2021 with a city option through 2026. If the incinerator continues to operate beyond 2021, the city will have to expand the capacity of Quarantine Road Landfill. Baltimore’s business institutions and residences generate about 970,000 tons of solid waste a year, including 286,000 tons of construction & demolition debris. 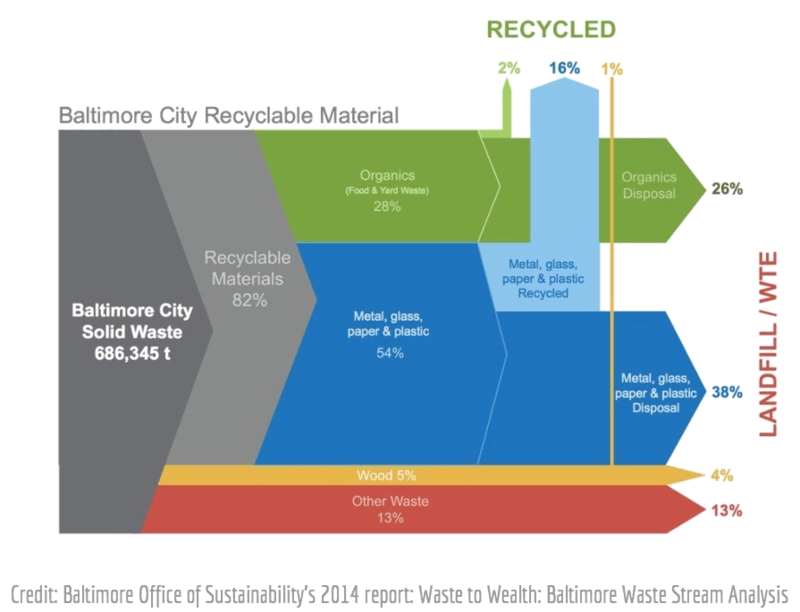 Excluding C&D waste, Baltimore businesses, institutions and residences generate about 686,000 tons per year of solid waste. The Department of Public Works is responsible for collecting residential solid waste, which comprises a little less than a third of the waste. A few apartments and about 110 small businesses currently receive recycling services from the city. The vast majority of apartments and businesses hire private haulers to provide garbage and recycling services. Businesses and apartments in Baltimore are required by state mandate to recycle. Most recently, the Department has been reorganized into four quadrants, each of which will be responsible for garbage and recycling collection, street cleaning, litter control and bulky waste pick ups. Baltimore’s official residential recycling rate is 28 percent, compared to a national recycling rate of 35 percent. 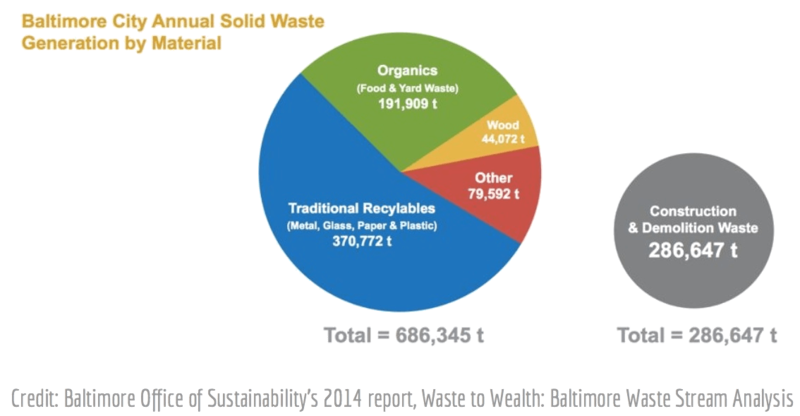 According to the Baltimore Office of Sustainability’s 2014 report, Waste to Wealth: Baltimore Waste Stream Analysis, 82 percent of Baltimore’s household materials could be recycled or composted. The DPW is responsible for collecting residential solid waste and recycling. Neil Seldman, Ph.D, directs the Recycling and Economic Growth Initiative. He specializes in helping cities and businesses recover increasing amounts of materials from the waste stream and add value to the local economy through new processing and manufacturing facilities. He is a co-founder of the Institute for Local Self-Reliance and is a member of ILSR's Board of Directors.